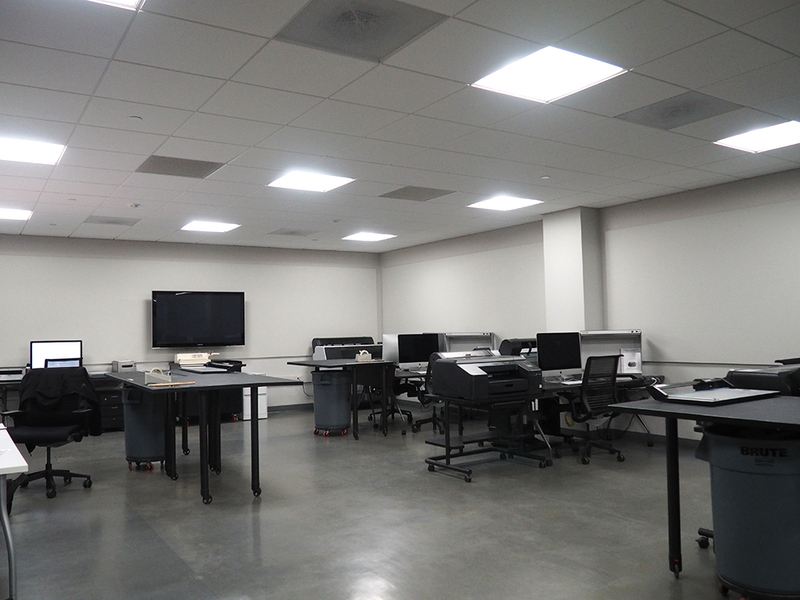 "The Cellar" is a 1500 square foot state-of-the-art digital imaging facility located on the ground floor of the Digital Arts Research Center. 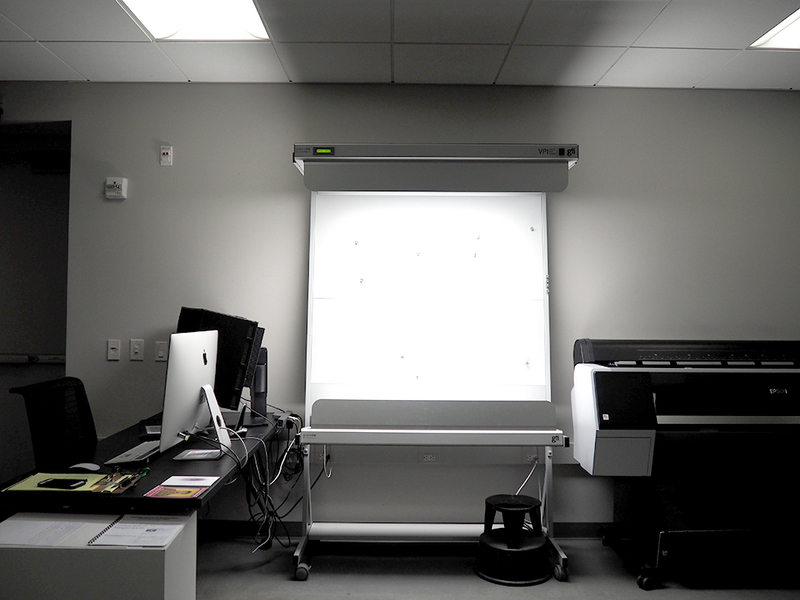 The room is a neutral color space which has been specifically designed to meet international standards for color viewing and evaluation. 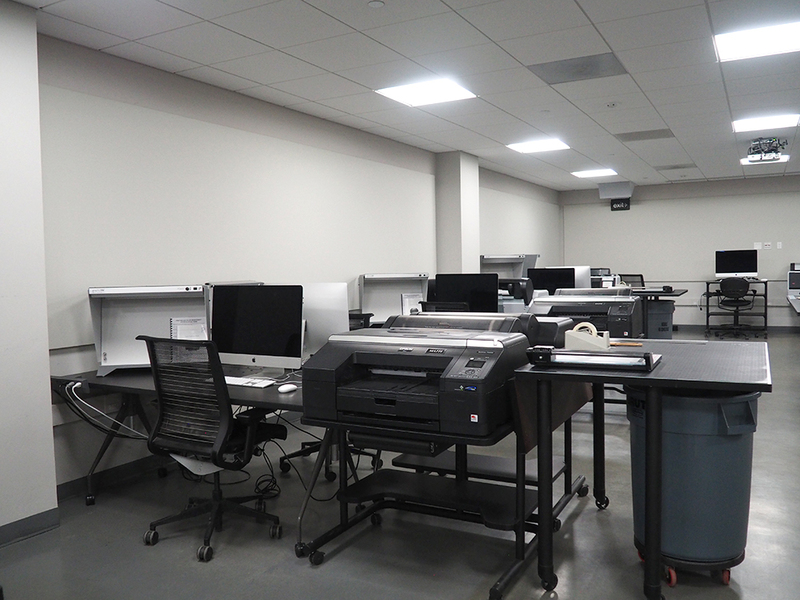 There are 15 student workstations, which provide input (scanning of prints and film) and output (color ink-jet prints) capabilities. 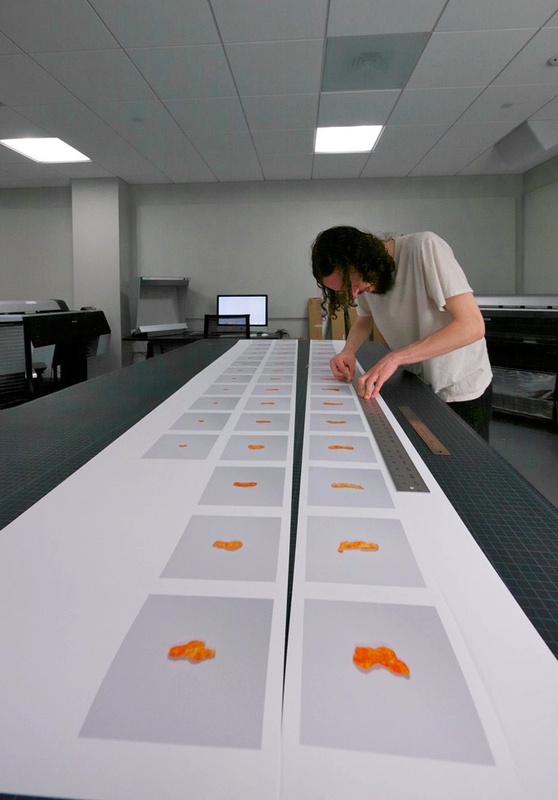 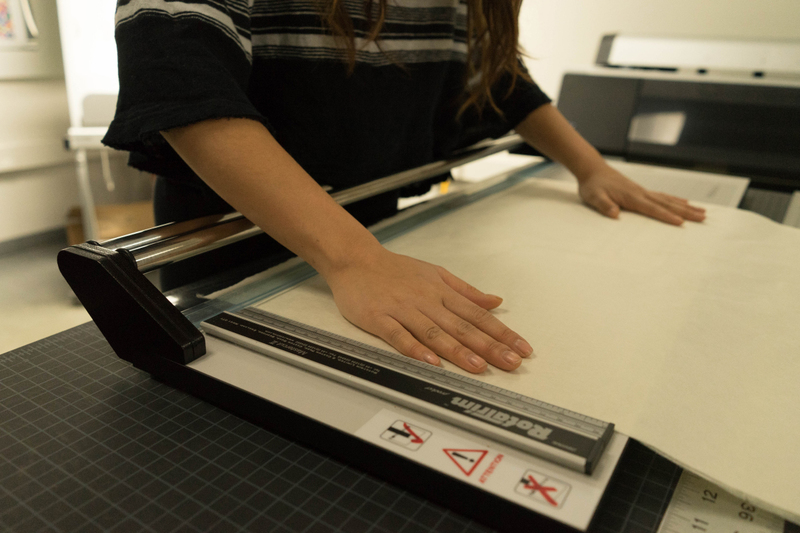 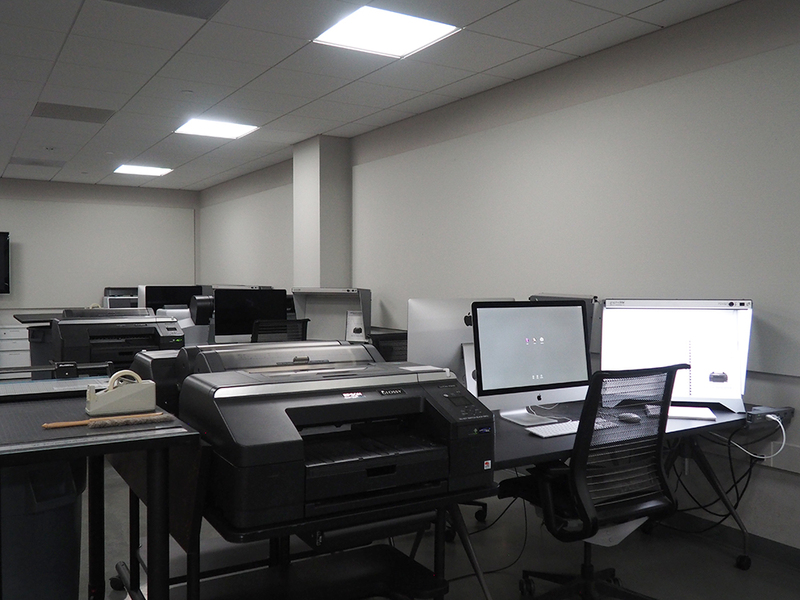 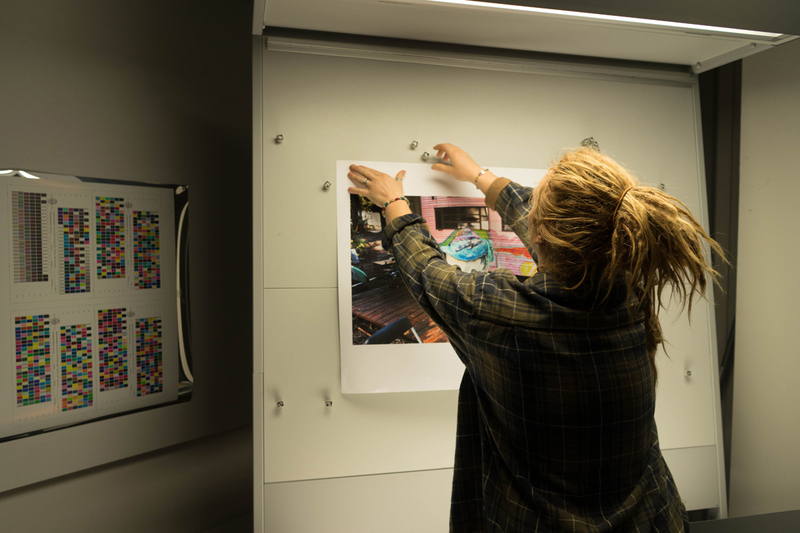 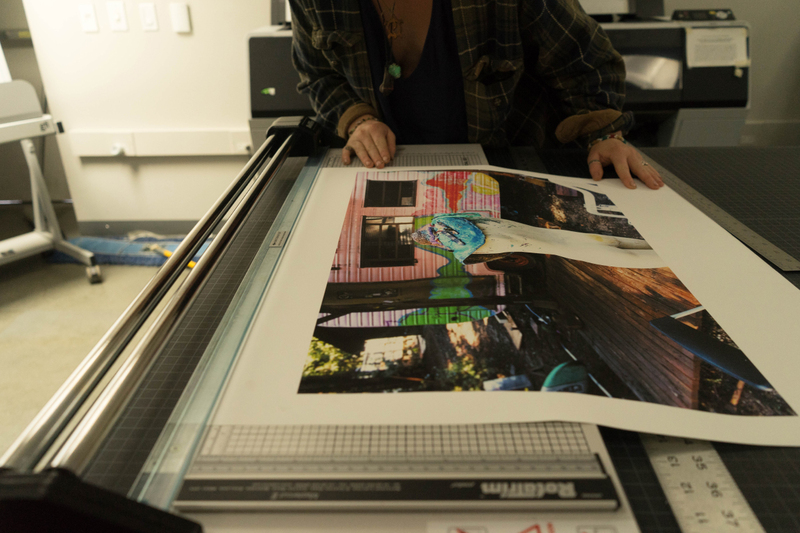 Students have 24 hour a day access to the facility, which includes eight 17" wide Epson Stylus Pro printers. 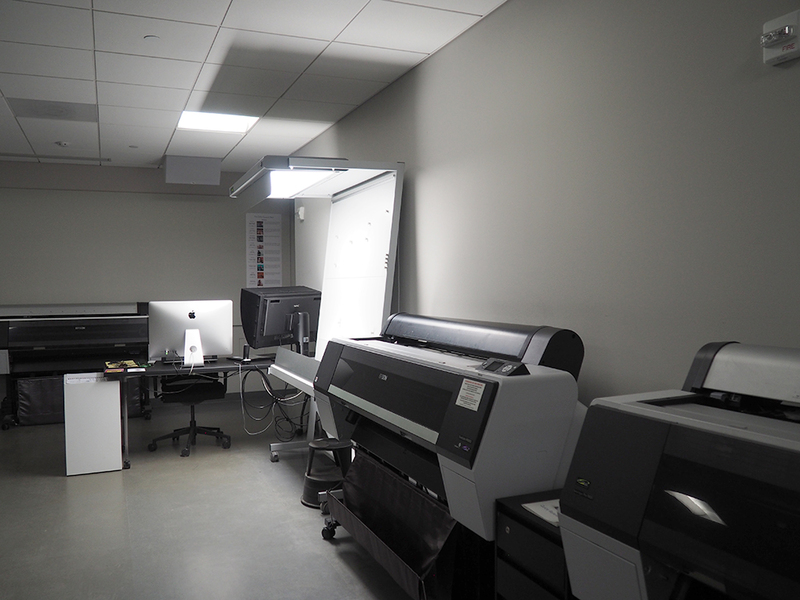 Mural capabilities are provided by two 24" wide and one 44" wide Epson printers. 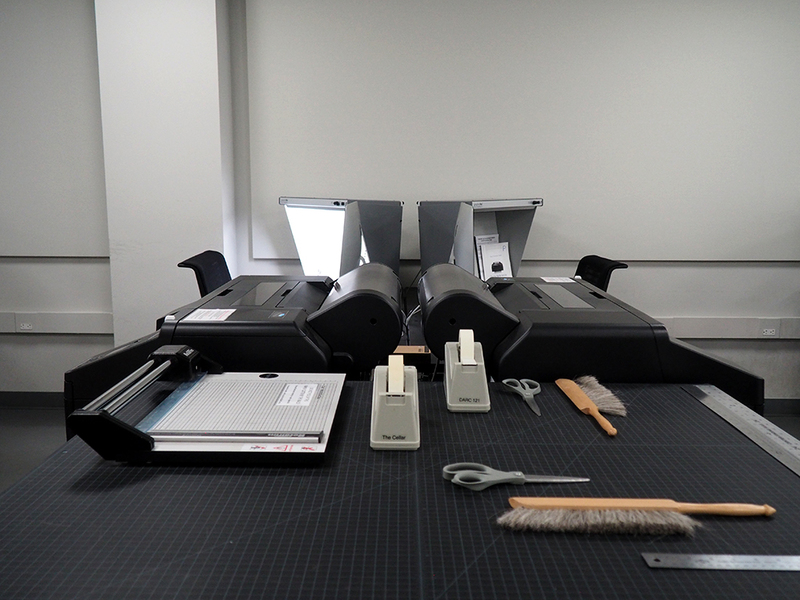 Scanning hardware includes four Epson flatbed scanners and three Nikon film scanners, which provide access to legacy images (traditional film and prints) and also function as "bridge" technologies between traditional medium-format film and digital output. 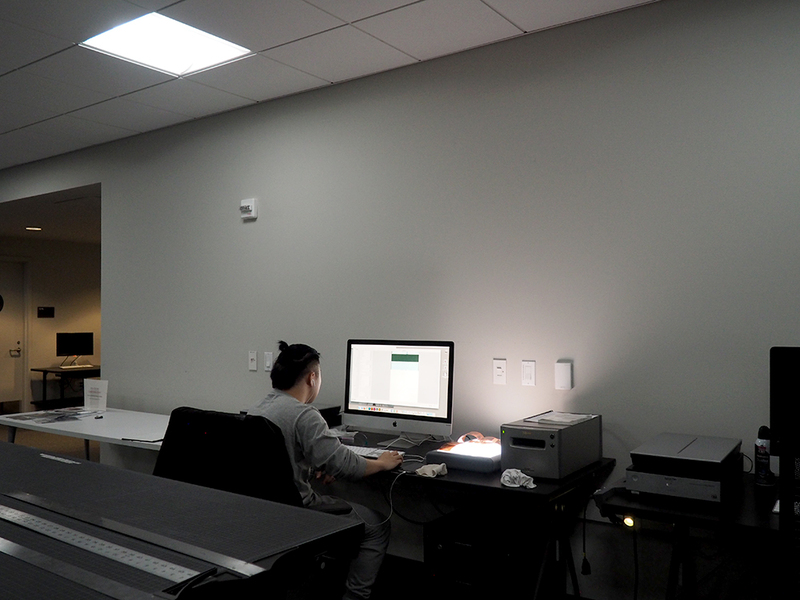 For more in-depth information, visit The Cellar's own website.